Bitcoin rocketed to a lifetime high well above $16,000 on Thursday after climbing some 67 per cent over one week, intensifying the debate about whether the cryptocurrency is in a bubble about to burst. The largest US cryptocurrency exchange struggled to keep up with record traffic as the price surged, with an upcoming launch of the first bitcoin futures contract further fuelling investor interest. Proponents say bitcoin is a good medium of exchange and a way to store value, much like a precious metal. They also argue it is preferable to traditional currencies because it is not subject to central bank manipulation. The supply of bitcoin will eventually be capped at 21 million, and some 16.7 million have already been released. But critics say that the price run-up is a bubble that has been driven mostly by speculation, leaving bitcoin vulnerable to a sharp reversal. JPMorgan Chase & Co Chief Executive Jamie Dimon famously called bitcoin a fraud in September. "Bitcoin remains a major gamble as it is very much an asset that remains in uncharted waters, we've simply not experienced this before," said Nigel Green, founder and chief executive of deVere Group. The Reserve Bank of India (RBI) earlier this week reiterated its concerns about Bitcoins as the cryptocurrency hit new highs. The RBI said those trading in virtual currencies were doing so at their own risk, given that the central bank has not given a licence or authorisation for any company to deal in such cryptocurrencies. The world's biggest cryptocurrency has surged seventeen-fold in value so far this year. The latest move brought its so-called market cap, its price multiplied by the number of bitcoins in circulation, to nearly $305 billion, according to Coinmarketcap, a trade website. By comparison, the market value of Wal-Mart Stores Inc is around $288 billion. 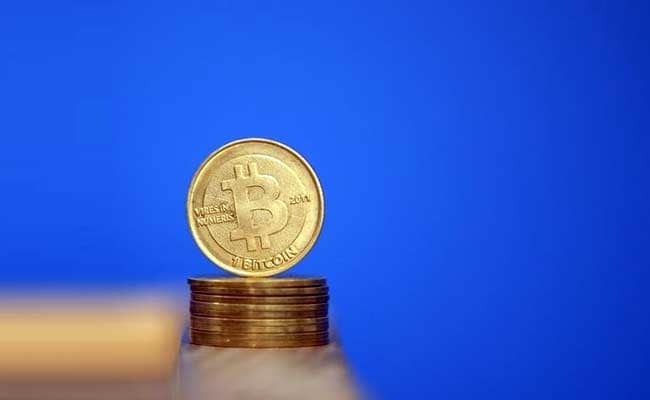 Analysts said the launch slated for this weekend of bitcoin futures by Cboe Global Markets Inc's Cboe Futures Exchange, one of the world's biggest derivatives exchanges, was helping drive up the price on expectations it would draw more investors to the market. The CME Group will launch bitcoin futures one week later, while Nasdaq Inc plans to get into the mix next year. It is not clear to what extent big U.S. banks will participate in the new bitcoin-related activity. Goldman Sachs Group Inc will clear bitcoin futures for certain clients when they go live, a spokeswoman said on Thursday. The bank is "evaluating the specifications and risk attributes for the bitcoin futures contracts as part of our standard due diligence process," spokeswoman Tiffany Galvin said. Bitcoin climbed over $16,600 on the Luxembourg-based Bitstamp exchange. In recent trade, Bitcoin was trading at $15,800. Coinbase, the largest U.S. platform for buying and selling cryptocurrencies, said on Thursday on Twitter that it had experienced an outage due to record traffic. The venue was last up and running. Some investors said they still see scope for bitcoin to soar even higher. "It will hit potentially $20,000 because so much capital is coming in and it's the most liquid secure coin out there," said David Drake, founder and chairman of DLJ Capital, a family office in New York. Other trading venues showed different prices for bitcoin, which trades in more than 100 cryptocurrency exchanges that are not accountable to any central authority. For instance, at institutional trading platform GDAX, bitcoin topped $19,000, while it hit above $16,000 at itBit. The Futures Industry Association, representing some of the world's largest brokers, sent a letter on Thursday to the U.S. Commodity Futures Trading Commission saying that more safeguards are needed to protect against bitcoin's high volatility and the risk of manipulation in the spot market. "Players now have an incentive to be on the short side and make profits hedging against the upside." Concerns about cybersecurity could also take the shine off of bitcoin. Slovenian cryptocurrency mining marketplace NiceHash, which matches people looking to sell processing time on computers in exchange for bitcoin, said on Thursday it had lost about $64 million worth of bitcoin in a hack of its payment system. Bitcoin slumped in 2014 when MtGox, then the world's biggest bitcoin exchange, collapsed after saying it had been hacked and had 650,000 bitcoins stolen. The value of all cryptocurrencies now stands at nearly $430 billion, according to Coinmarketcap. Bitcoin has more than tripled in price since the start of October, putting it on track for its best quarter since the end of 2013, when it surged above $1,000 for the first time.